I love making candy. It is surprisingly simple to make and the perfect treat to share. When you bring a cake or a box of cupcakes to the office, people whine about calories and suggest that you are trying to fatten them up. Candy is generally welcomed with open arms (and open mouths) and quickly disappears from the office kitchen. In my quest to make more candy in 2016, I decided to finally take on a traditional English toffee recipe. After finishing, I have no idea why I didn't make it sooner. The recipe was fast and easy. While you have to babysit the sugar syrup through the whole process, you won't be slaving over the stove for long. I decided to top the toffee with just flaked sea salt and toasted almonds. 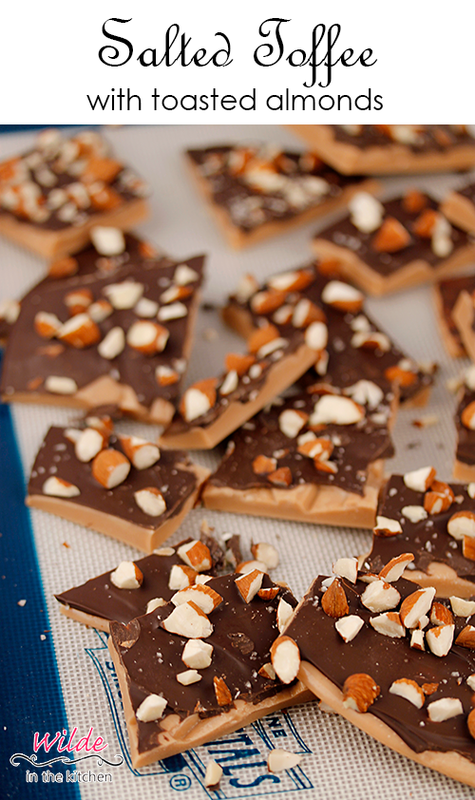 Going overly fancy with a toffee recipe seems like a bad idea. The candy is so classic, why trash it up with gummy bears, hot sauce and cotton candy? 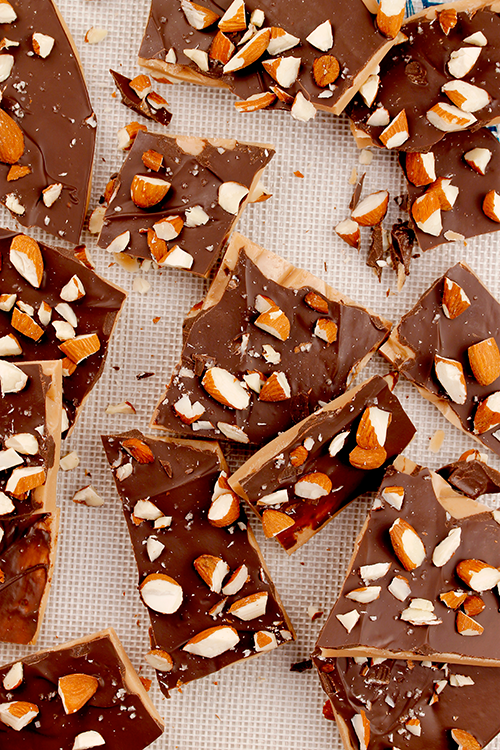 Just be sure to use toasted almonds to bring out all of their nutty flavor! This recipe doesn't make a massive amount of candy. Breaking it up into about two dozen pieces gives you a good amount of candy to share with your friends, family or coworkers, without being overwhelmed with a ton of sugar! What candy should I attempt next? I'm stocking up on granulated sugar with big plans to make it a sweet spring! Bring water, butter, heavy cream, sugar and salt to a boil in a 3 quart pot. Add a candy thermometer and cook, stirring slowly and continuously, until the temperature reaches 300 ⁰F. Add vanilla extract and stir until combined. Pour out onto the prepared baking sheet. Let sit for 1 minute. Sprinkle toffee with chocolate chunks and let sit for 5 minutes to soften the chocolate. Spread chocolate over the toffee with an offset spatula. Sprinkle with almonds and salt. Place toffee in the refrigerator and let harden for about 1 hour. 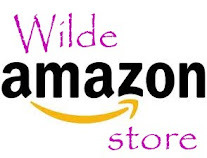 Break into pieces and store in an airtight container.